Welcome all Trigger fans ☆ Please feel free to join! Established on August 22, 2011 by Hiroyuki Imaishi and Masahiko Ohtsuka. 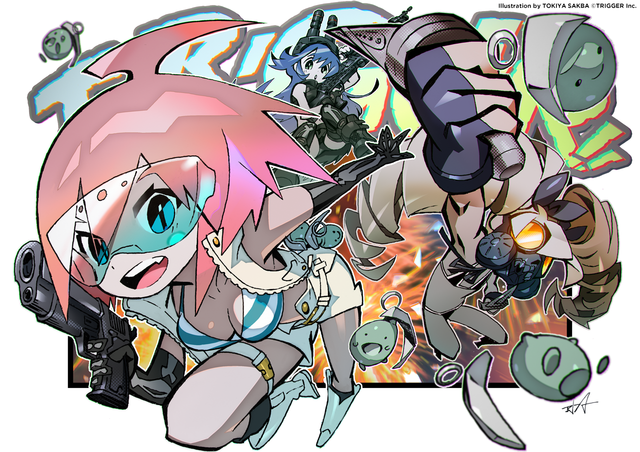 Trigger is known for its use of an eccentric tone and fast-paced visuals. :D Cheers for the invite. oh by the way, my favorite Studio Trigger anime is Hacka-Doll the Animation!!! Oh, I've been found out as a Trigger fan! Thanks for the invite! 1. Take a photo of your Akko Nendoroid and tweet a message at @GSC_Product, @lwa_jp or or @gsc_kahotan saying that you want a Diana Nendo to go along with her. 2. Send a message to any of those accounts simply saying something like: リトアカのダイアナのねんどろいどが欲しい! 3. When the Lotte Nendo is revealed by Kaho-tan or the official account, send as many "リトアカのダイアナのねんどろいどが欲しい!" or similar messages as you can. Ideally, most of the replies to the tweet should be requests.